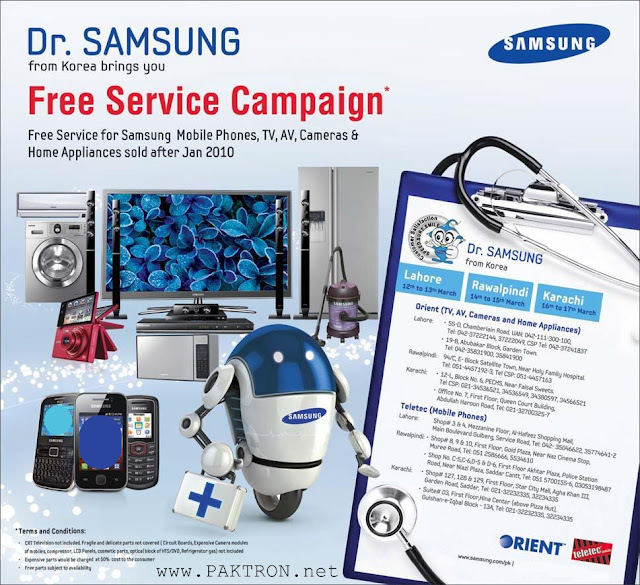 Dr. Samsung from Korea brings you free service Campaign, Samsung now offers free service for Samsung Mobile Phones, TV, AV, Cameras and home appliances sold, in Pakistan, after January 2010. 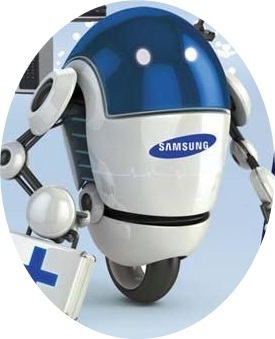 Dr. Samsung Free Service Campaign is available in three cities of Pakistan that are Rawalpindi, Lahore and Karachi. Terms and Conditions apply please follow the schedule / dates according to your respective cities. Free Parts subject to availability. Expensive parts would be charged at 50% cost to the customer. CRT Televosion not included, (Circuit Boards, Expensive Camera Modules of Mobiles, Compressor, LCD panels, cosmetic parts, optical block of HTS / DVD and Refrigerator Gas) not included.